The former Oasis star - who is touring this summer with his new band High Flying Birds - confirmed to The Sun he had been asked to appear on the BBC's celebrity dancing show, but he was too busy. 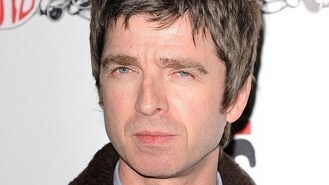 Noel told the paper: "I'm flattered. I'd have done it an' all... Sadly though, I'm a bit busy. Maybe next time..."
Other names rumoured to have been approached for this year's show include EastEnders stars Sid Owen and Charlie Brooks, who play brother and sister Ricky and Janine Butcher. In the past controversial artist Tracey Emin and TV presenter Richard Madeley have been among those rumoured to be offered a chance to appear on the show.